It’s not always easy to choose a medical professional to care for you and your family. When it comes to your dentist, you want to make sure you choose someone who offers a full range of services in a modern setting where you and your loved ones will feel right at home. Think it’s impossible to find such a match? Think again! 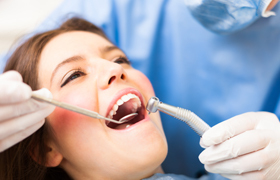 We’ve got an idea of how and where to find the best dentist in Aurora. Keep reading to learn about all the things you need to consider when you are choosing a dental team for you and your family -- we are pretty sure that your search will lead you right to the doorstep of D’Amico and Mauck, DDS. It almost goes without saying that one of the most important factors you are looking for when you search for a dentist is someone with the skill and expertise necessary to perform a wide range of treatments. When you are searching the internet for a great dentist, take a peek on their “About the Dentist” or “Meet the Doctor” page to find out what sort of educational background and training your potential dentist has. Dr. Matt Mauck and Dr. Andrew Ricci have many years of real-world experience practicing all facets of dentistry, from general and preventive services to restorative care, cosmetic treatments, and more. They also work hard to stay up-to-date on the latest advances in the field through their active engagement and participation in a number of continuing education courses. Visiting a dentist who offers a full list of treatments will help to ensure that you and your loved ones are always receiving truly comprehensive dental care. What’s more, it means that the whole family can visit the same dental practice -- and that makes your life a lot easier in the long run. From general checkups and cleanings all the way to full and partial dentures, dental implants, and much more, Dr. Mauck and Dr. Ricci truly do it all for patients of all ages and stages of life. Patients of our office can also count on emergency dental care for when the unexpected strikes, like a toothache in the middle of the night or a knocked-out tooth during an afternoon game of backyard football. While it may not seem like it is really a primary concern, you should definitely make sure that the dentist you choose is conveniently located near school or work and is also available at the hours that suit your family’s schedule best. Even though most people only need to visit the dentist’s office twice a year for a checkup and cleaning, we have seen firsthand that patients are a lot less likely to attend these appointments if they have to take time off work or rearrange their routines to make it into the office. The practice of D’Amico and Mauck, DDS is conveniently located in Aurora, CO at 3131 S. Vaughn Way #422. We also operate at normal business hours, including opening before work on Mondays and Thursdays. You don’t have to rely on a friend’s referral or the yellow pages for anything these days. It is now easier than ever to learn about a potential dentist or doctor from the patients who have visited them firsthand. Before you choose a dentist, take the time to look through their internet reviews. Browse Google, Facebook, and Yelp! to see what people have to say. Our team is pleased to have a number of glowing testimonials for prospective patients to look through! Please check out our online reviews today. 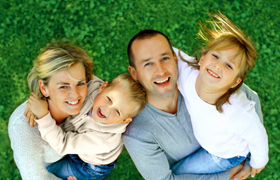 Dental insurance is an important investment for most families. If you have an insurance plan, visiting a dentist who accepts your benefits is important for making the most out of them. You can usually find a dentist’s insurance information by browsing their website or calling the office directly to inquire. Our office is pleased to be in-network with Delta Dental Premier, and we also file and process all dental insurance claims to make using your benefits easier on you. However, if you do not have insurance, we also work with CareCredit -- it’s a third-party financier that helps you make convenient payments on the dental and medical services you need. It is easy to apply for CareCredit, and even easier to use it for the benefit of your lasting oral health! When you are searching for a dentist, it is worth taking the time to visit the office for an initial consultation. When you do, take note of how you feel when you are there. Does the team take the time to introduce themselves and show you around the office? Do you feel comfortable and confident in the operations that you see? 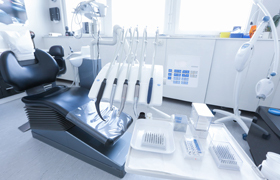 Is the office clean and comfortable with all the advanced technology you expect from a great dentist? If the answers to these questions are a resounding yes, trust your first instinct -- you may have just found your and your family’s new dental home! If you have been desperately typing “dentist near me” into your internet search bar, it’s time to stop the search! We here at D’Amico and Mauck, DDS are waiting to welcome you and your loved ones into our warm, comfortable dental practice. To learn more about our comprehensive services or to schedule an appointment for the same, we invite you to contact the office today.